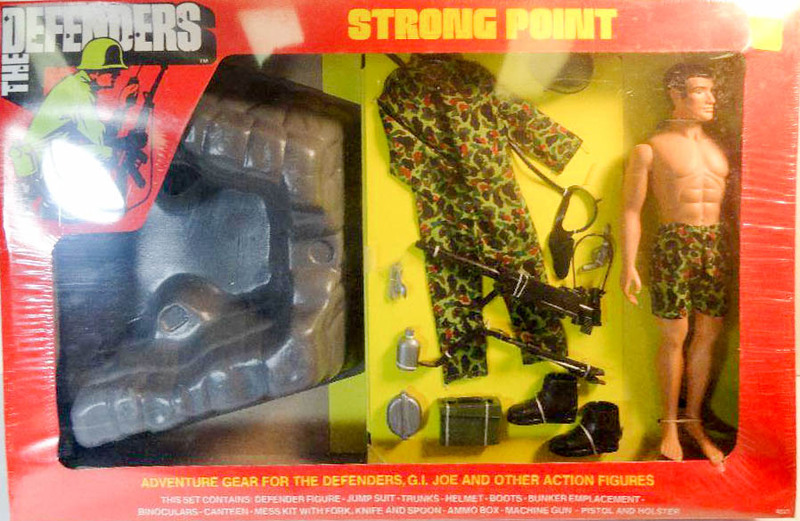 Another deluxe set that included a Defenders figure, Strong Point's coolest feature is the rocky fortification molded to accommodate a tripod mounted machine gun. Though molded after the 1960s originals, this version is in black rather than silver and it's accompanying ammo box is unpainted. 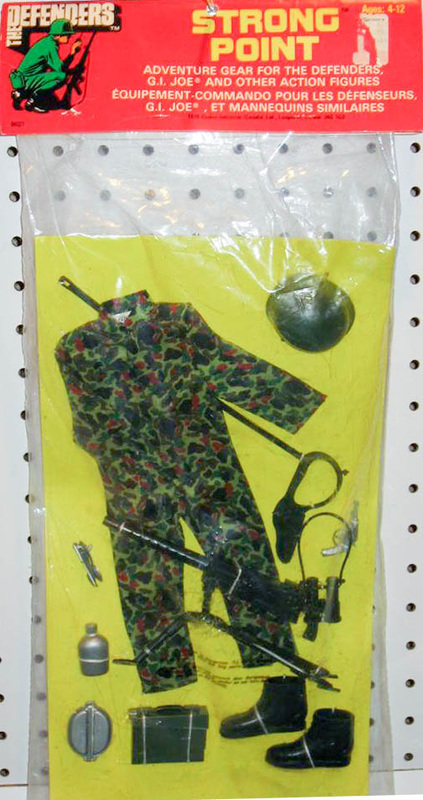 Image of the tough to find box courtesy of a private collection.